Single LP version of limited 3xLP box-set released exclusively on the Sublime Frequencies website. 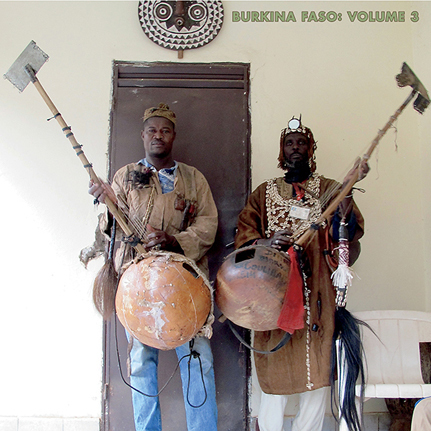 Volume 3 includes regional instruments such as the Donso ngoni (hunters’ harp). The Donso hunters are a mystical animist sect living in western Burkina Faso whose music is a source of protection and strength for the hunt. The Dioula are represented by one of Bobo-Dioulasso’s premiere ensembles, Fassobolomba, who fuse traditional styles with an impeccable ear for modern melody and songcraft. The thianhou and the jubilant wedding songs of the Fulani (Denke-Denke) round out the region’s musical embarrassment of riches.